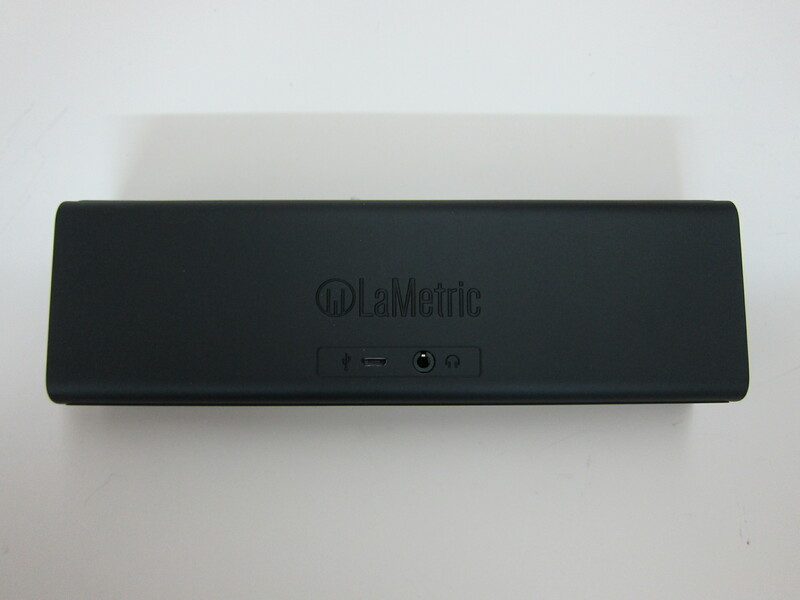 LaMetric Time  was launched on Kickstarter  on 17th June 2014. 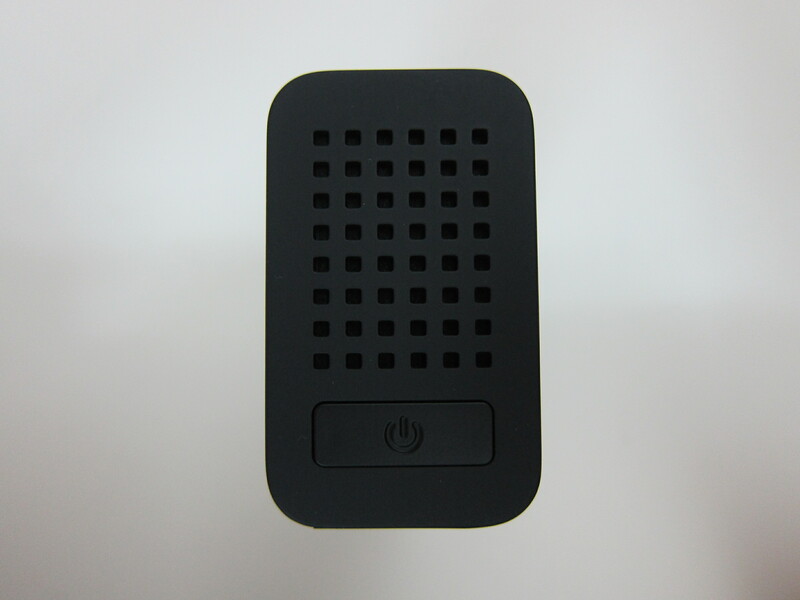 It got successfully funded on 1st August 2014 after raising US$370,001 out of their initial goal of US$69,000 from 2,215 backers. I was one of their super early bird backer. 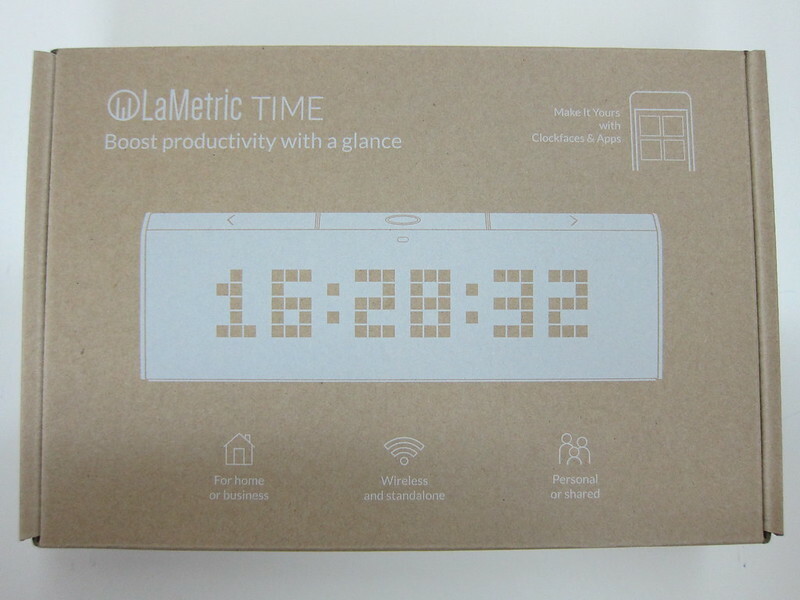 I pledged US$119 (S$168) for the LaMetric Time itself and shipping to Singapore is additional US$25 (S$36). SUPER EARLY BIRD BATTERY LAMETRIC – This level is for those who get in quick and want the best deal! Get The Battery LaMetric Time (with built-in Lithium-ion, rechargeable battery) at a very limited special price and help kick off our launch! Free shipping to the continental US. It was supposed to start shipping in January 2015 but shipping got delayed till October 2015. 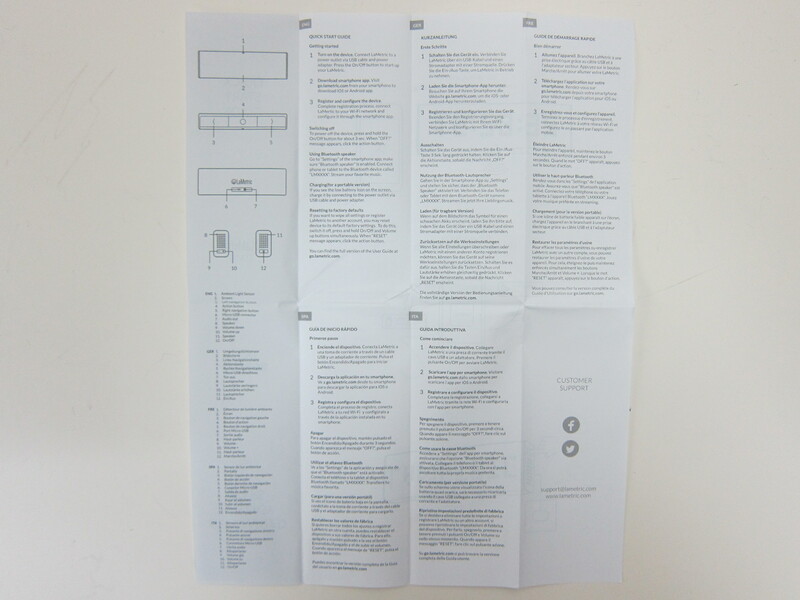 It was shipped to me on 7th October 2015 from Hong Kong and I received it last Friday on 9th October 2015. 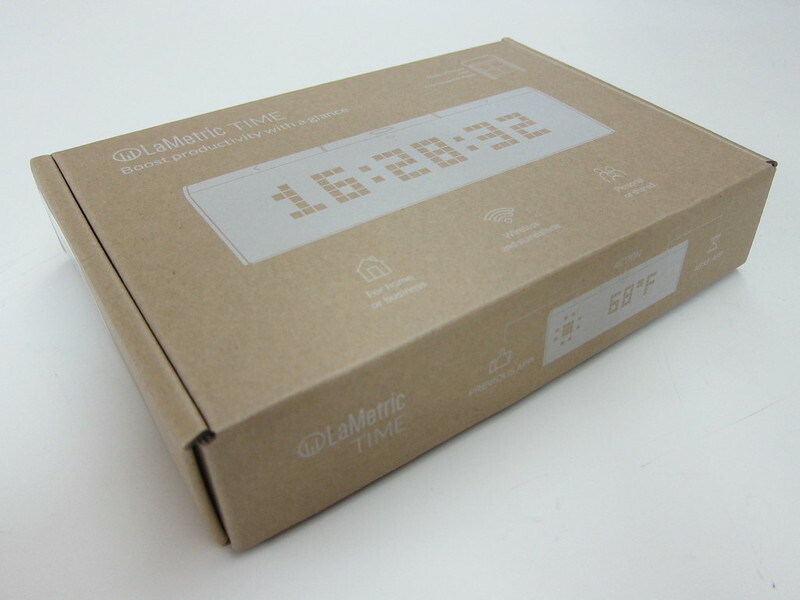 After Kickstarter, you can get the LaMetric Time from the LaMetric Store . 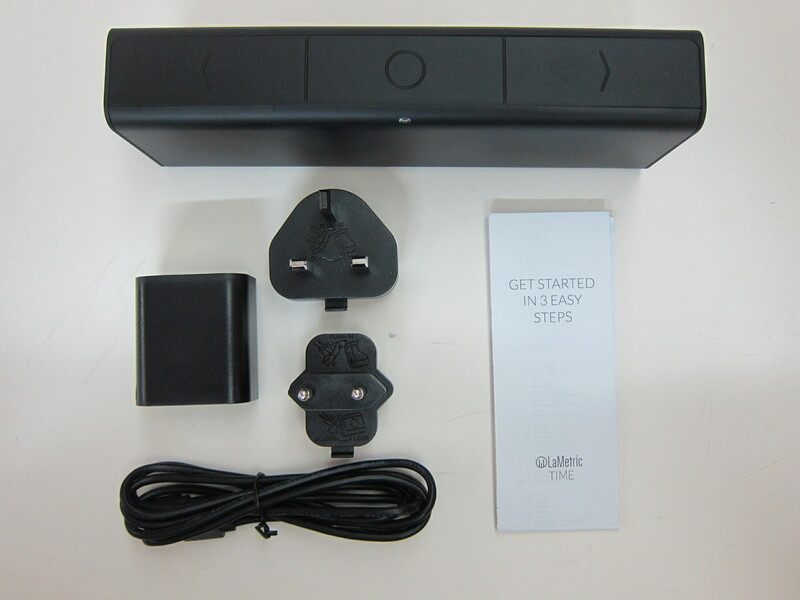 The battery operated unit retails for US$199 (S$278) while the power operated unit retails for US$179 (S$250). 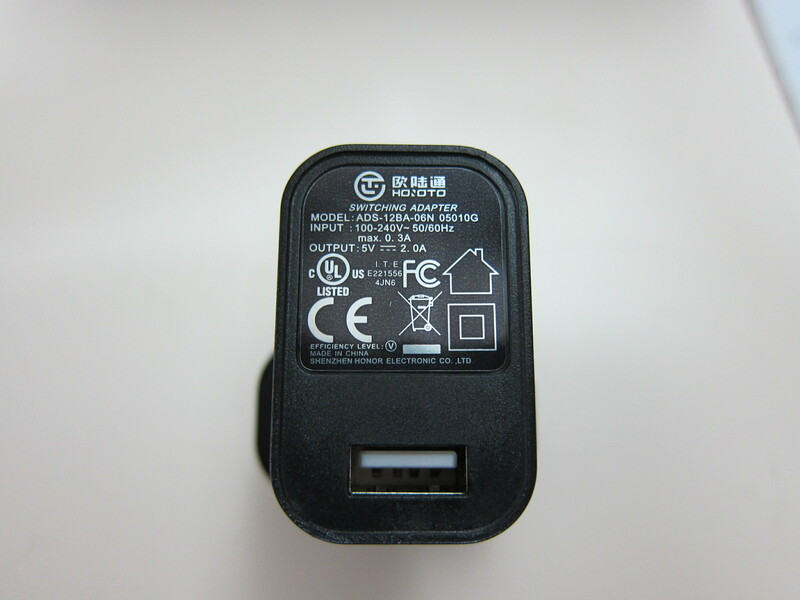 For some reasons, it doesn’t ship to Singapore. But I guess you can always drop them a support question  to ask why. 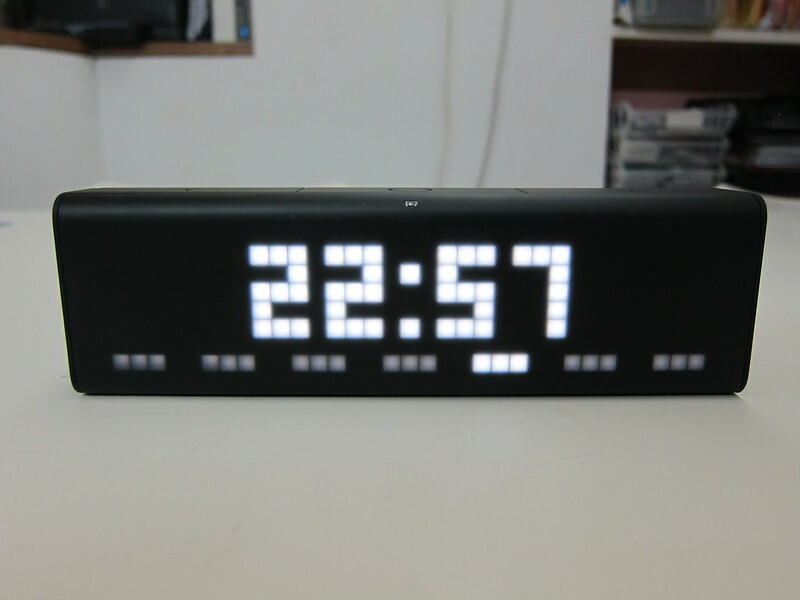 LaMetric Time is probably one of the most interesting product I backed on Kickstarter. 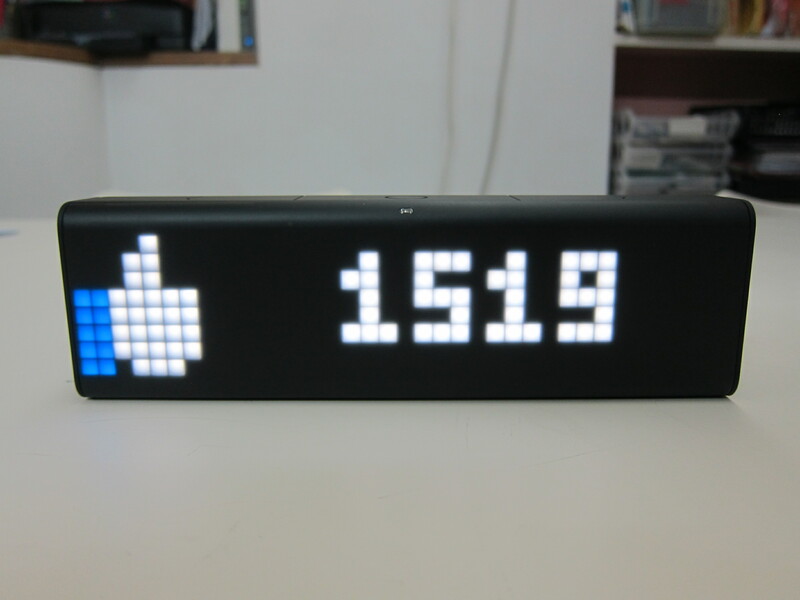 It is a standalone, customizable, hackable ticker that tracks key metrics and displays them in real-time. 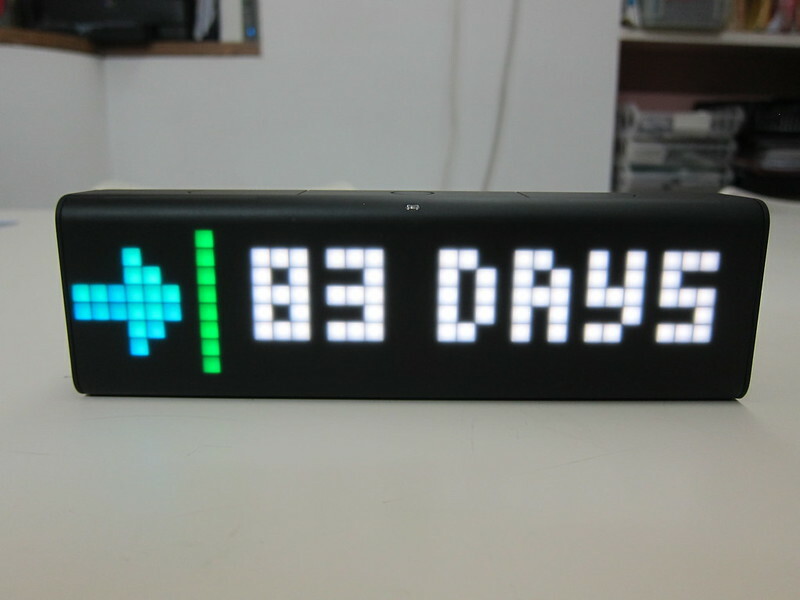 This unique clock can be set up to tell you the events on your calendar for the day, the temperature or even to count down the days until your new baby is born. 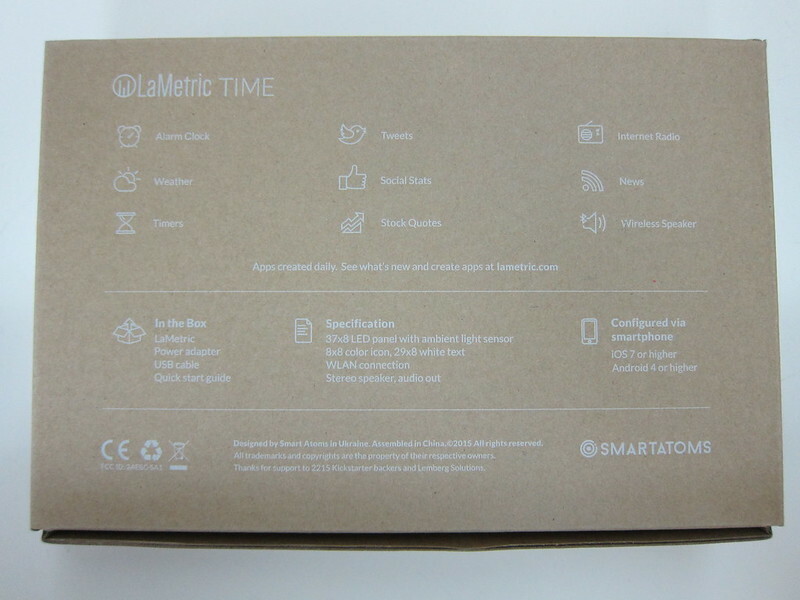 LaMetric Time eliminates the need to check multiple apps or news sites for the information you need. 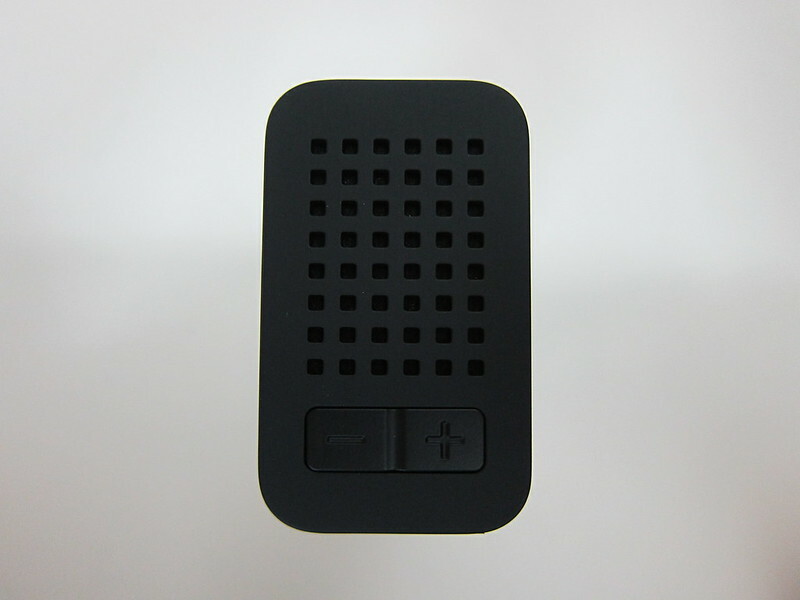 Instead, you receive everything at a glance, all in one place, in real-time. 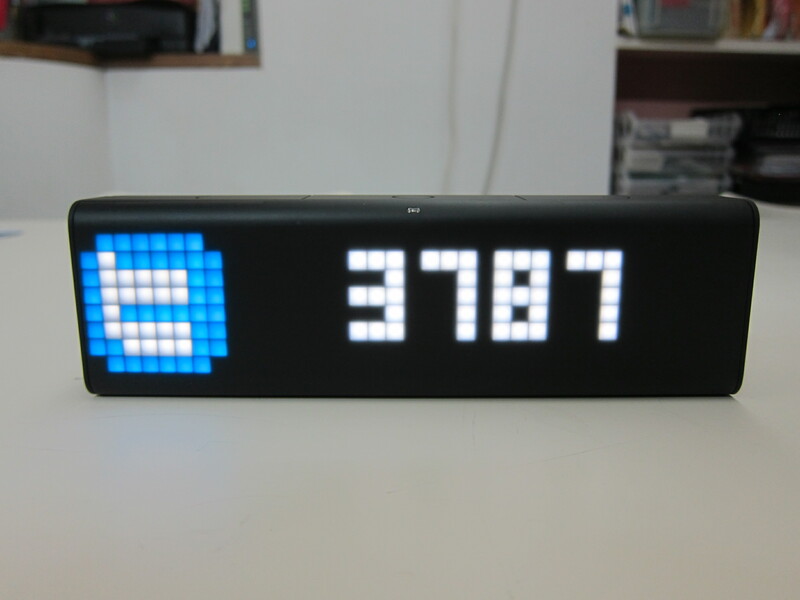 Just to name a few things that it supports: Fitbit, Asana, Todoist, Google Analytics, Facebook fan counter, Mentions on Twitter, PayPal live balance and transactions. 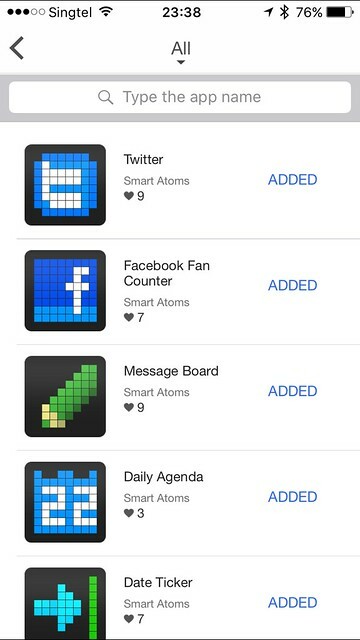 It also supports IFTTT  (coming soon) which makes the possibilities endless. You can even combine two or three LaMetric Time in a row to form a dashboard. 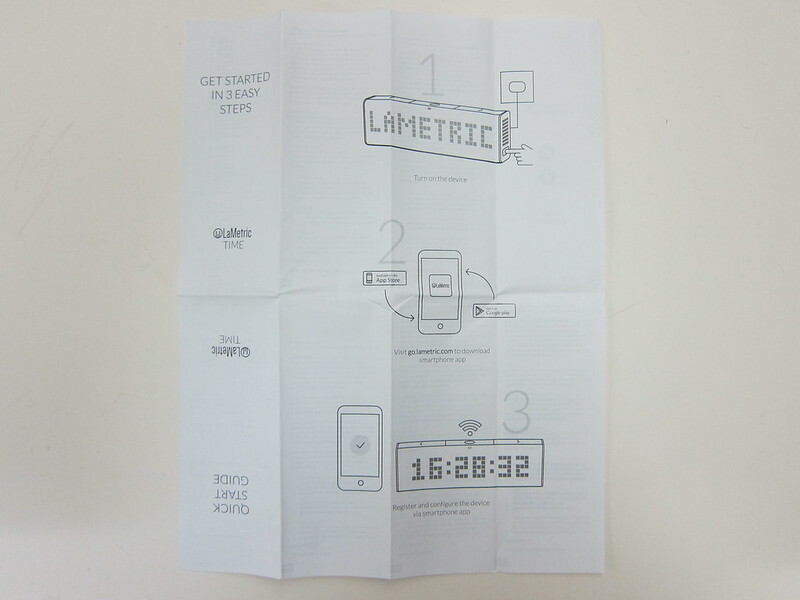 The combined LaMetric Time will be in sync and acts like a single device. 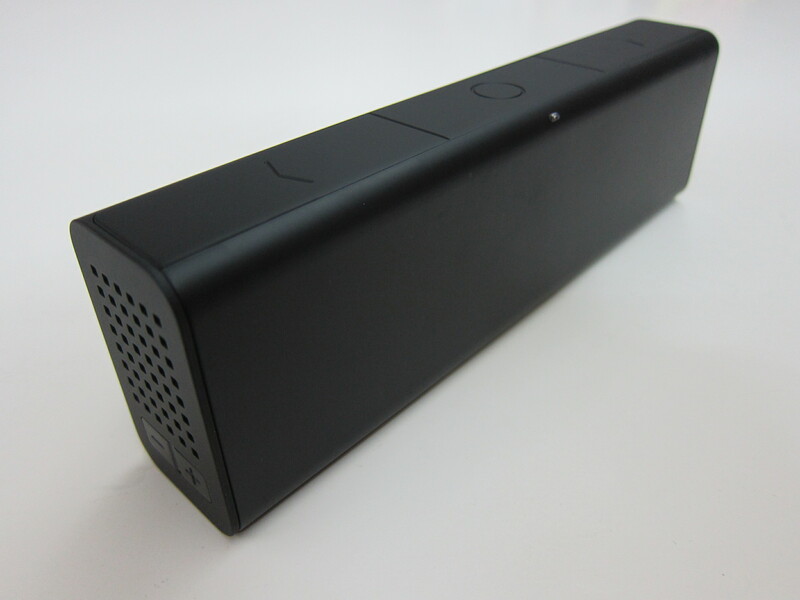 LaMetric Time comes with built-in Bluetooth stereo speakers. 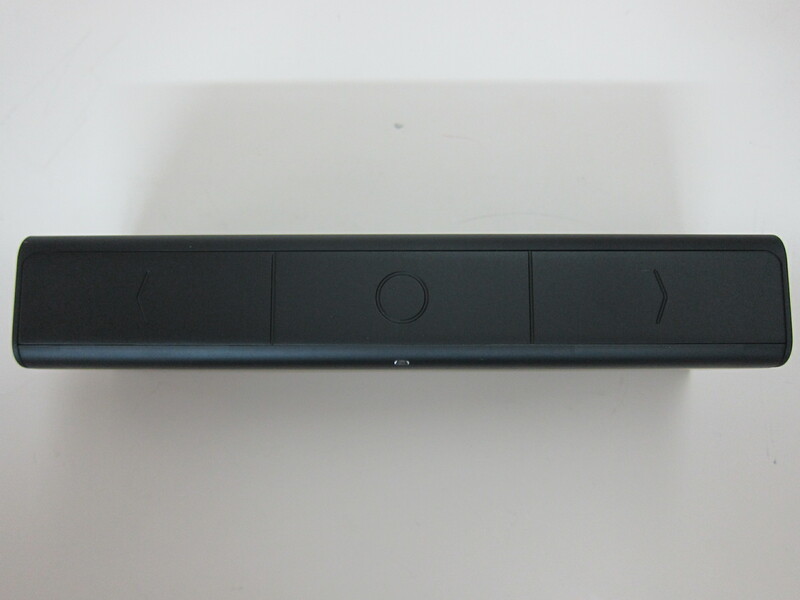 It measures 21cm x 6.1cm x 3.6cm and weighs 600g. 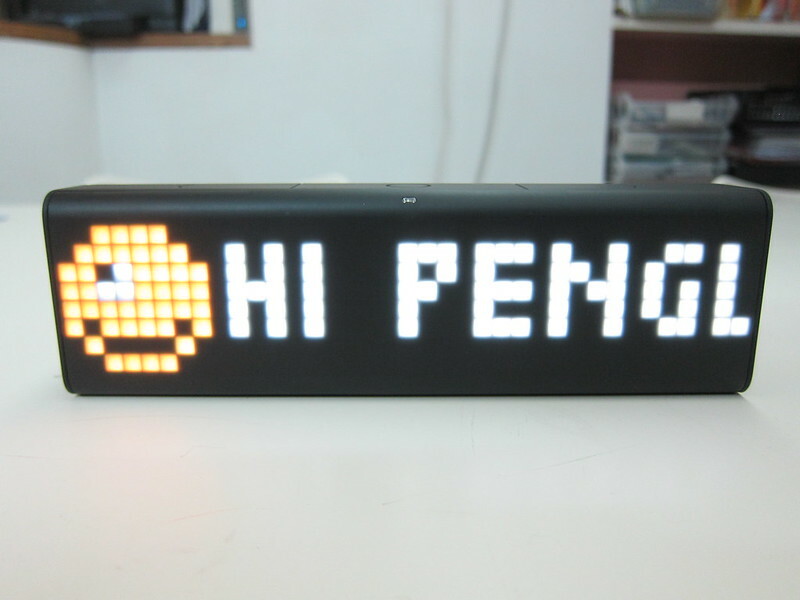 The display is in 37×8 pixels. 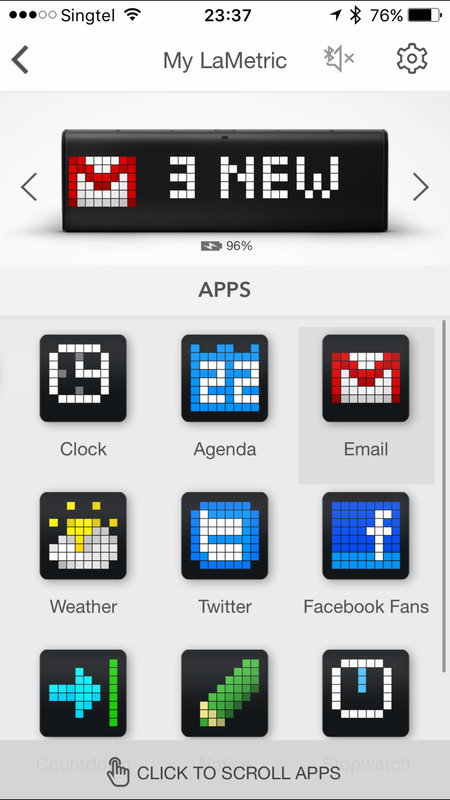 8×8 color pixels act as the icon and 29×8 white pixels acts as the text. 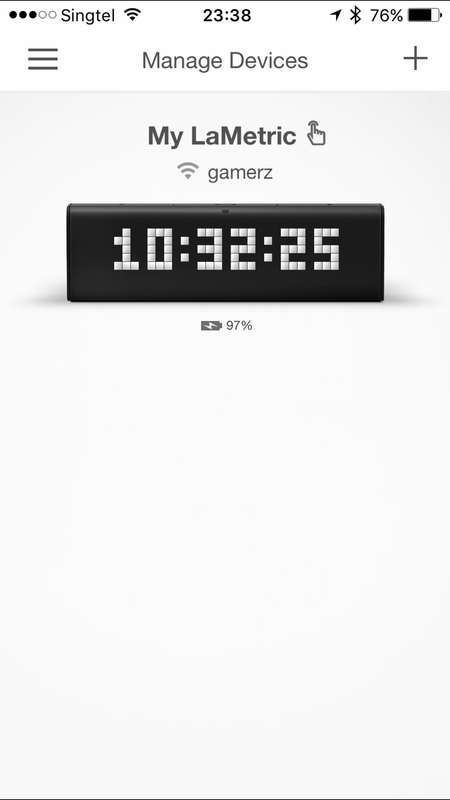 LaMetric Time app is available on both iOS  and Android . You will need either app to setup LaMetric Time. 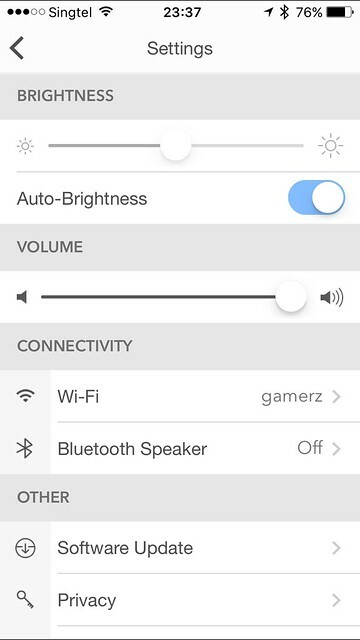 The iOS app works but needs polishing. It is not optimized for iPhone 6/6 Plus/6s/6s Plus and the store loads very slowly because of UIWebView (in-app browser). As of writing, only Twitter, Facebook Fan Counter, Message Board, Daily Agenda, Date Ticker, Stock Quotes, Email Notifications, Alarm Clock and Radio apps are available. The Email Notification app is buggy which makes it impossible to set up. Clicking on “Not logged in” to login to Google within the app will crash the iOS app. I have to use the LaMetric app on Android to set it up properly. Hopefully, they will get this fixed as soon as possible. I am also hoping to see more apps and IFTTT support for the LaMetric Time soon. The developer portal is already open over at developer.lametric.com .